The Bowie State University Scholars Forums are a series of panel discussions on issues of contemporary interest and enduring importance. 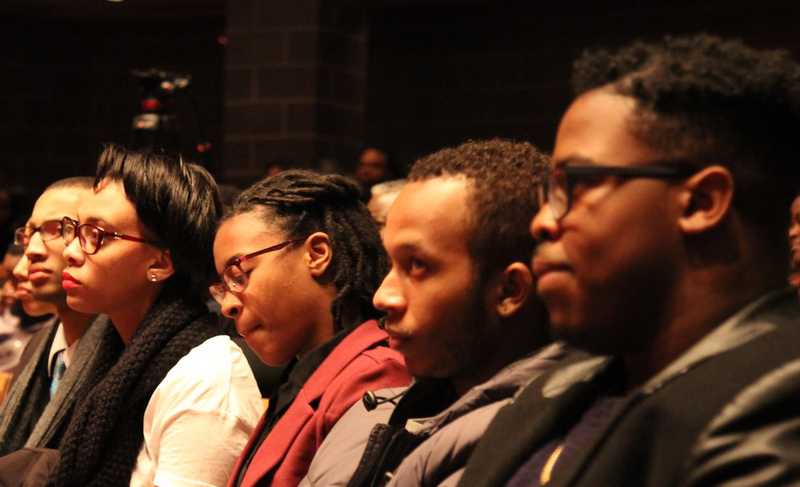 Each forum offers students, faculty, staff, community members, activists, politicians, and other professionals a venue in which to engage in a scholarly conversation about today’s pressing issues. Our goal is to employ the heart of the university, the College of Arts & Sciences, to create a safe space for intellectual inquiry that broadens our cultural horizons, whets our appetite for research, and contributes to our quest for a peaceful and just world. The BSU Scholars Forums are organized by Dean George Acquaah, Dr. Horacio Sierra, and Dr. Nicholas Creary. February 11, 2016 - African Americans and the Legal System: Is Justice Possible? November 2015 - Are There Limits to Religious Freedom? October 2015 - Do Black Lives Matter?